Mitochondrial dysfunction has been proposed to be one of the earliest triggering events in isoflurane-induced neuronal damage. Lidocaine has been demonstrated to attenuate the impairment of cognition in aged rats induced by isoflurane in our previous study. In this study, we hypothesized that lidocaine could attenuate isoflurane anesthesia-induced cognitive impairment by reducing mitochondrial damage. 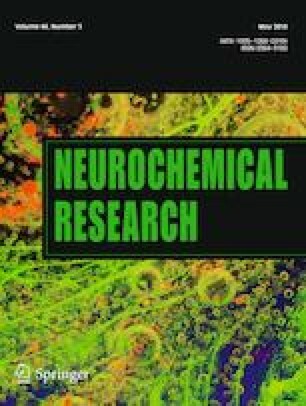 H4 human neuroglioma cells and 18-month-old male Fischer 344 rats were exposed to isoflurane or isoflurane plus lidocaine. Cognitive function was tested at 14 days after treatment by the Barnes Maze test in male Fischer 344 rats. Morphology was observed under electron microscope, and mitochondrial transmembrane potential, electron transfer chain (ETC) enzyme activity, complex-I–IV activity, immunofluorescence and flow cytometry of annexin V-FITC binding, TUNEL assay, and Western blot analyses were applied. Lidocaine attenuated cognitive impairment caused by isoflurane in aged Fischer 344 rat. Lidocaine was effective in reducing mitochondrial damage, mitigating the decrease in mitochondrial membrane potential (ΔΨm), reversing isoflurane-induced changes in complex activity in the mitochondrial electron transfer chain and inhibiting the apoptotic activities induced by isoflurane in H4 cells and Fischer 344 rats. Additionally, lidocaine suppressed the ratio of Bax (the apoptosis-promoting protein) to Bcl-2 (the apoptosis-inhibiting protein) caused by isoflurane in H4 cells. Lidocaine proved effective in attenuating isoflurane-induced POCD by reducing mitochondrial damage. Daowei Lin is the first corresponding author. Zhiquan Huang is the second corresponding author. All authors listed have made great contribution to this study. JL and DL managed the experiment design, performed the experiments and wrote the paper. XZ, SY and HX performed the cell experiments and analyzed the data. JL, MG and YY performed the animal experiments and analyzed the data. ZH performed English quality revision and critical revision. This work was funded by grants from the National Science Foundation of China (Grant No. 81201022), National Science Foundation of Guangdong Province (Grant No. 2018A0303130195). The authors declare that there is no personal or institutional conflict of interest related to the presented research and its publication. All procedures performed in studies involving animals were in accordance with the ethical standards of the institution or practice at which the studies were conducted.